Speaking about INOR, Mr Colin Murphy, Consultant Orthopaedic Surgeon and Clinical Lead for the INOR Project in Merlin Park University Hospital said, “We look forward to implementing this project from which we are sure our patients will benefit. This will improve safety and streamline the pre-operative and post-operative review process, improving the quality of services and care provided to patients having joint replacement surgery. 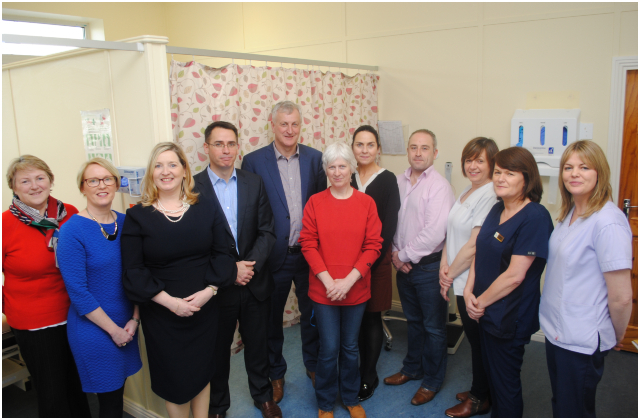 “It is a testament to the huge amount of work that has been invested by hospital management, by nursing teams, by IT and administrative staff that the INOR project is ready to go live in Merlin Park University Hospital. INOR is managed by the National Office of Clinical Audit, in conjunction with the HSE Office of the Chief Information Officer and clinically supported by Irish Institute of Trauma and Orthopaedic Surgeon. Elective orthopaedic hip and knee replacement records will now be available nationally in a central register for the first time. INOR is a secure, web-based, real-time system that went live in May 2016 and is currently rolling out nationally. Its aim is to improve and maintain the quality of care for individuals receiving joint replacement surgery in Ireland. The register will collate information from all hospitals in Ireland undertaking joint replacement surgery and will support early detection of implant performance and improve the efficiency of the recall and review process. Roll-out of INOR to the remaining public elective orthopaedic surgery sites is underway and will be completed by mid 2020. The Irish National Orthopaedic Register (INOR) went live in Merlin Park University Hospital, today Monday 11 February. From left: Mary Cotter, Assistant Director of Nursing and Nurse Lead; Caroline Ryder, IT Lead; Suzanne Rowley, INOR Manager, National Office of Clinical Audit (NOCA); Mr Colin Murphy, Consultant Orthopaedic Surgeon and Clinical Lead; Tom Bannon, Project Manager, HSE Office of the Chief Information Officer; Mary Keane, Theatre Clinical Nurse Manager 2; Debbie McDaniel, Assistant Manager, Irish National Orthopaedic Register, NOCA; Eric McSpadden, IT Dept; Trina Kenny, Pre-Op Assessment Nurse; Thérèse Caulfield, Clinical Nurse Manager 2; and Caitriona Flaherty, Arthroscopy Nurse Specialist. Missing from photo: Judith McLucas, Business Manager, Perioperative Division and Business Lead.